Kristin Omdahl Yarns featured in Margaret Hubert's newest book, "One-Piece Knits"
A while back I was thrilled when Margaret Hubert asked if I would contribute yarn for her newest book. Margaret and I have been friends for years! 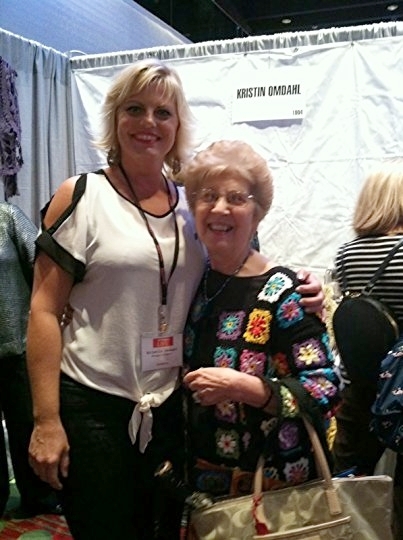 We traveled to the same yarn conventions and shows for many years and since I stopped traveling we have maintained a friendship online and over the phone. She has featured my yarns in several of her books. Check out Margaret's profile on my Family of Designers Page. For "One-Piece Knits" she chose Be So Sporty Yarn in color Caribbean Turquoise and Be So Brave Yarn in Lincoln Lime. I was so intrigued by her choices and couldn't wait to see what she was going to create with them. Keep in mind that you can also substitute Be So Sporty Yarn with other sport weight yarns I carry, including Be So Bare Yarn , Be So Fresh Yarn and Be So Serene Yarn. And you can substitute Be So Brave Yarn with other worsted weight yarns I carry, including Be So Bold Yarn and Be So Tender Yarn. 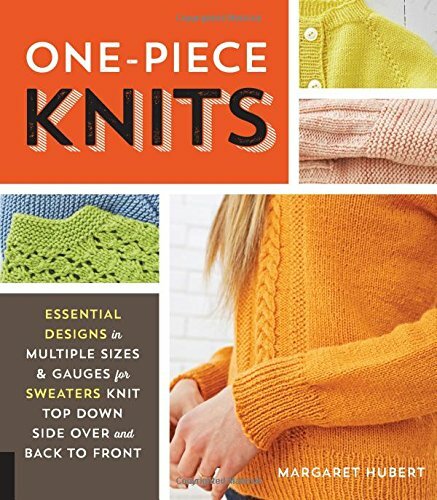 My advanced copy of "One-Piece Knits: Essential Designs in Multiple Sizes & Gauges for Seaters to Knit Top Down, Side Over and Back to Front" arrived in my mailbox. I was delighted to see the sweaters made in both Be So Sporty Yarn and Be So Brave Yarn. And once I had a chance to peruse the entire book, I was so impressed with what Margaret accomplished with this book. The beautiful Cardigan with Lacy Interest Pattern is a top down raglan cardigan with lacey eyelets in the raglan increases and it has two lovely lace patterned panels mirrored in the lower sleeves and lower body. Delicate picot edging finishes the necklace and hems. Crocheted ties and buttons decorate the top of the front opening. The cardigan features Be So Sporty Yarn in color Caribbean Turquoise. The pattern is sized for 36 (38, 40, 42) finished chest sizes and uses 5 (6, 7, 8) balls. and a US 4 and 5 set of circular knitting needles. Sample shown is a size medium. The Lacy Cardigan with Three-Quarter Sleeves Knit Pattern is a waist-length cardigan that is worked side-over (or cuff to cuff). The sweater features Be So Brave Yarn in color Lincoln Lime. The pattern is sized from XS to 3X and requires 7 (8, 8, 9, 9, 10, 11) hanks. You will also need US #5 and US #8 sets of circular knitting needles for this project. Not only does "One-Piece Knits" have a variety of pattern styles for pullovers and cardigans, but it also has size ranges from children to women to men. And, it also has massive charting systems for customizing each sweater construction style for children, women and men sizes AND multiple weight yarns. As a beginner knitter, you can follow the patterns for the designs shown in the book. But as an aspiring or budding designer, you can learn a lot about construction and sizing of garments with this book. I think this is an excellent resource book for your knitting library regardless of your skill level. Leave a comment on this post to be entered to win a copy of the book "One-Piece Knits" by Margaret Hubert. The winner will be notified and announced on Wednesday, May 30, 2018. Share this blog post with your friends to give them a chance to win, too!